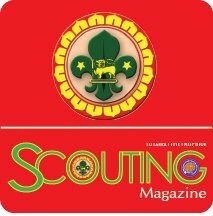 scouting magazine blog | Sri Lanka Scouting Magazine The Scouts & Girl Guides of Sri Lanka is one of the largest and most prominent values-based youth development organization. The SLSA & SlGGA provides a program for young people that builds character, trains them in the responsibilities of participating citizenship, and develops personal fitness. For over a century, the SLSA & SlGGA has helped build the future leaders of this country by combining educational activities and lifelong values with fun. The Scouts & Girl Guides of Sri Lanka believes — and, through over a century of experience, knows — that helping youth is a key to building a more conscientious, responsible, and productive society. ස්වයං පරිසමාප්ත පුද්ගලයින් වශයෙන් සමාජයට ඵලදායී කාර්ය භාරයක් ඉටු කරමින් වඩාත් යහපත් ලොවක් බිහිකිරීම සඳහා සහය වීමට බාලදෂ නීතිය හා පොරොන්දුව මත පදනම් වූ පිළිගත් අගයයන් මගින් ළමා හා යොවුන් අධ්‍යාපනයට දායක වීම අපගේ මෙහෙවර වන්නේ ය. To contribute to the education of young people, through a value system based on the Scout Promise and law, to help build a better world where people are self–fulfilled as individuals and play a constructive role in society. 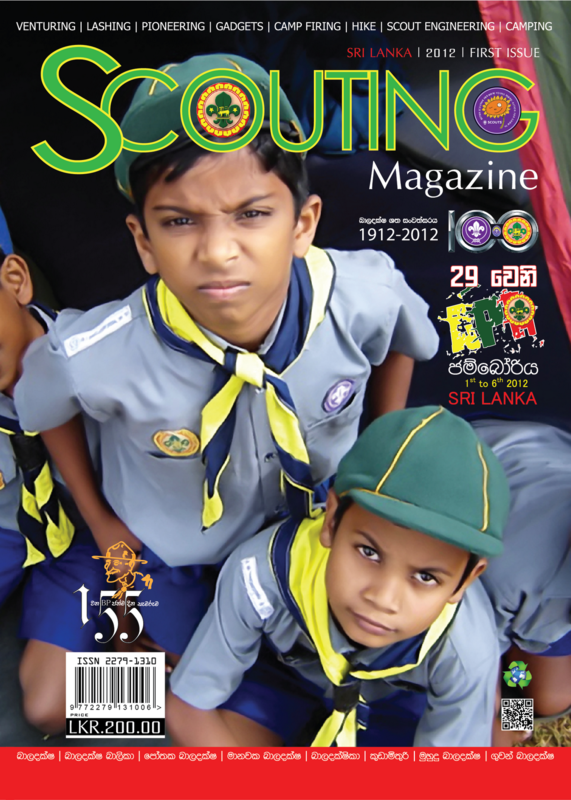 Sri Lanka Scouting Magazine The Scouts & Girl Guides of Sri Lanka is one of the largest and most prominent values-based youth development organization. The SLSA & SlGGA provides a program for young people that builds character, trains them in the responsibilities of participating citizenship, and develops personal fitness. For over a century, the SLSA & SlGGA has helped build the future leaders of this country by combining educational activities and lifelong values with fun. 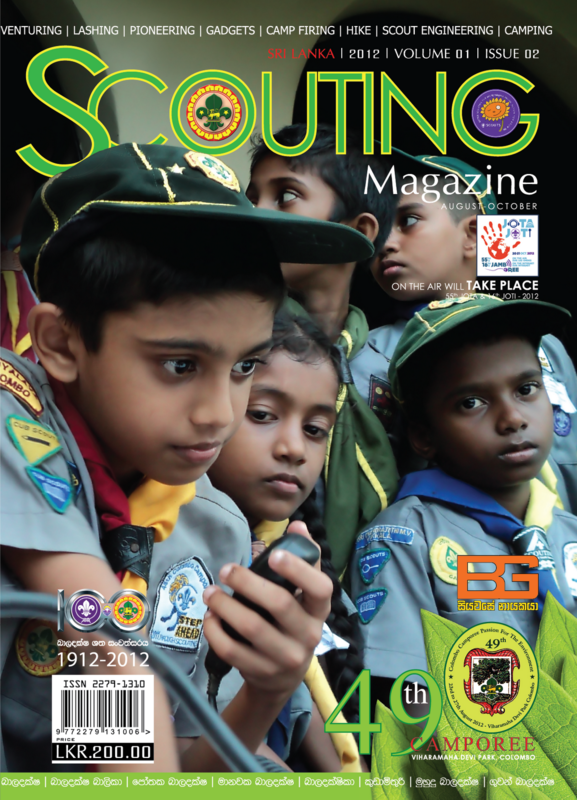 The Scouts & Girl Guides of Sri Lanka believes — and, through over a century of experience, knows — that helping youth is a key to building a more conscientious, responsible, and productive society. ස්වයං පරිසමාප්ත පුද්ගලයින් වශයෙන් සමාජයට ඵලදායී කාර්ය භාරයක් ඉටු කරමින් වඩාත් යහපත් ලොවක් බිහිකිරීම සඳහා සහය වීමට බාලදෂ නීතිය හා පොරොන්දුව මත පදනම් වූ පිළිගත් අගයයන් මගින් ළමා හා යොවුන් අධ්‍යාපනයට දායක වීම අපගේ මෙහෙවර වන්නේ ය. To contribute to the education of young people, through a value system based on the Scout Promise and law, to help build a better world where people are self–fulfilled as individuals and play a constructive role in society. Prof. Gihan V. Dias (CSE) at the University of Moratuwa. Software Engineer | Shamal Ranasinghe | Gloria Solutions(PVT)Ltd.
# 865/7, Obawatta Rd, Heyyanthuduwa. # 26, Kendahenwatta Road, Depanma, Pannipitya. 10230. Sri Lanka.